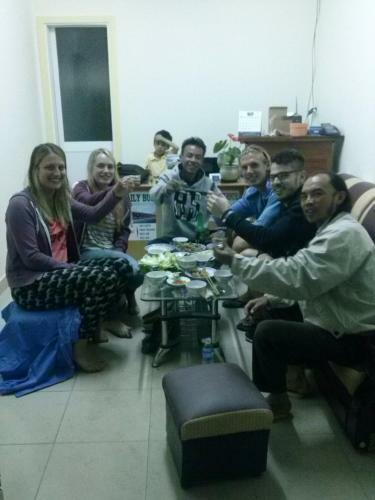 Lock in a great price for Dalat Green Hostel – rated 8.8 by recent guests! I stayed two nights and wish I could have stayed longer but had pre-payed a room in Da Nang. 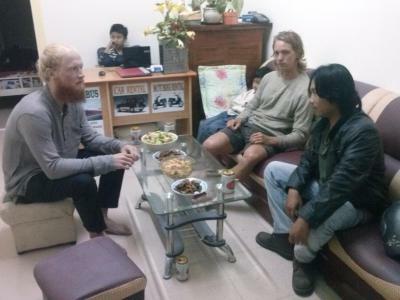 Small family run homestay, just 3 rooms. Good location in city close to places to eat. The room was nice size, good Wi-Fi, and very clean. Bathroom was larger than average with very hot water. My room had balcony right outside, nice place to relax since Dalat has wonderful weather. The breakfast was good and different each morning. Owner spoke good English and was a joy to talk to. 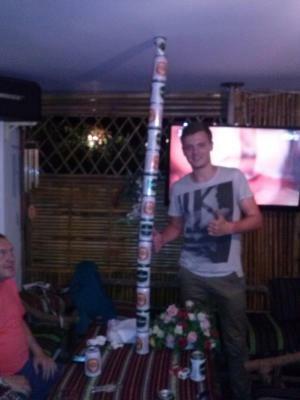 He is a wealth of information regarding things to do nearby or even other locations in Vietnam. We loved everything about our stay here. We quickly decided upon arriving to extend our booking. The room was incredibly clean. The bed was the most comfortable bed we've had in southeast Asia. Maybe even more comfortable than our bed at home. The breakfast was delicious and varied every day. Hot water in the shower. Good WiFi. Excellent location. Close to great food, and a short walk away to the busy centre. But the best part: the wonderful, kind owners. They went out of their way to make us feel welcome. After our Easy Rider tour (which we booked through Tom, the owner, who is an Easy Rider himself), Tom and Cherry made us a wonderful dinner for the four of us to share. We loved sharing time and learning more about their lives and about Vietnam. We were very sad to leave, and are so happy to strongly recommend this place to other travellers. Incredibly friendly owners who went out their way to make you feel at home. A varied and tasty breakfast included and they even cooked for us one evening to save going out in the rain. Couldn't be more welcoming if they tried! The owner was incredibly kind and the room was very clean! Accommodations were far and above what I expected from a hostel, great value. Nice bathroom, comfy bed, lovely balcony, friendly hosts, easy motorbike rental. Staff was helpful. The breakfast was nice, too. There is a small balcony outside the room to enjoy the quiet street. Lovely stay in Da Lat at the Dalat Green Hostel. Amazing shower with hot water (bonus as Dalat was a bit cooler than the rest of Vietnam). The owners are very accomodating and friendly. Nothing was a problem. Great easyrider tour of the Elephant falls also. Highly impressed, would without a doubt book here again if I return to Dalat! We had the had the loveliest few days in Dalat. The owners were so helpful and went out of their way to make our stay comfortable. They even cooked us a dinner on our last night which was delicious! The beds were also the comfiest we have had in our travels across south east Asia. I would highly reccomend others stay here while in Dalat, you will not be disappointed! Supercosy hostel managed by a really nice couple who speaks good english. They fix everything for you and even cooked a vegetarian meal for us at arrival late in the evening. For free! After almost four weeks in Vietnam these two brilliant persons are the only ones we have met that are completely honest and never overcharge you. Best beds ever and really good moterbikes for rent. Excellent breakfast included! It was a pleasure too stay here! 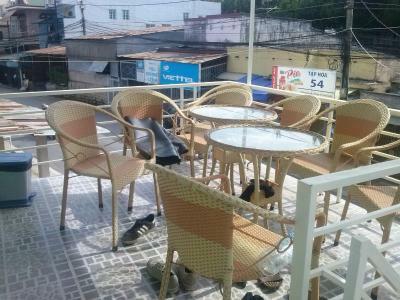 Featuring a terrace, Dalat Green Hostel is located in Da Lat in the Lam Dong region, 1.4 miles from Dalat Flower Gardens. 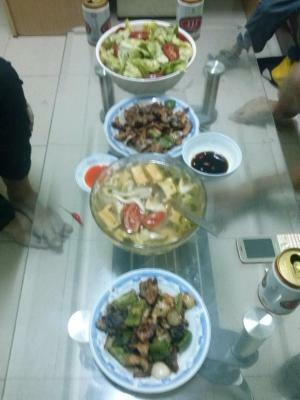 Located around 1.9 miles from Lam Vien Square, the hostel is also 2 miles away from Xuan Huong Lake. Free WiFi is available. 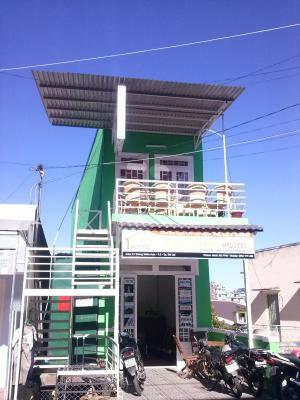 At the hostel, all rooms are equipped with a balcony with a city view. Rooms contain a private bathroom with a bidet. 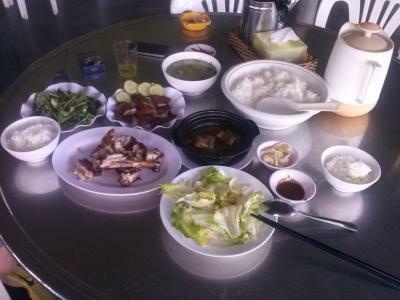 An Asian or vegetarian breakfast is served at the property. 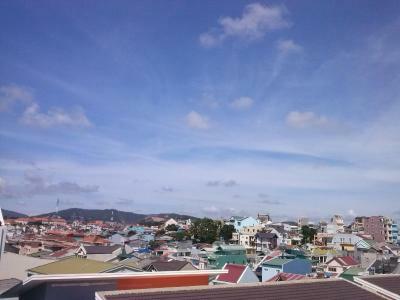 Yersin Park Da Lat is 2.1 miles from Dalat Green Hostel, while Truc Lam Temple is 5 miles away. 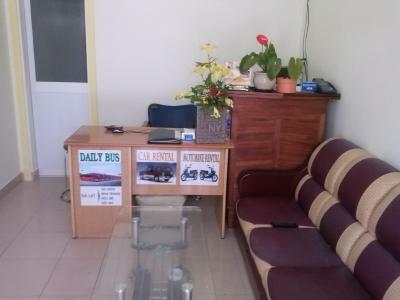 Lien Khuong Airport is 19 miles from the property, and the property offers a free shuttle service. 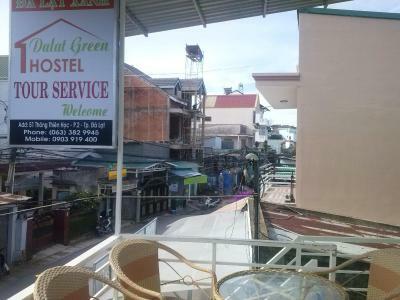 When would you like to stay at Dalat Green Hostel? House Rules Dalat Green Hostel takes special requests – add in the next step! 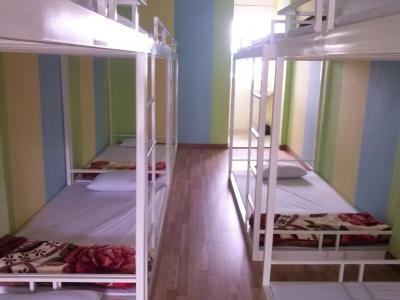 Any additional older children or adults are charged VND 70026.98 per night for extra beds. Dalat Green Hostel accepts these cards and reserves the right to temporarily hold an amount prior to arrival. The hostel is right on quit a busy road so its noisy at night. 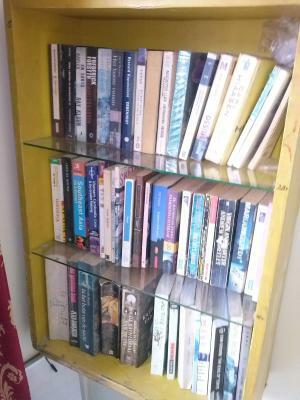 Basic but clean room for reasonable price. The breakfast was very tasty. The owners also rent scooters for great price. The hostel was the best I had since I have been traveling. The staff was super friendly and gave us great tips for visiting the best places around Dalat. The breakfast and coffee in the morning was a great way to start up the day! The rooms were big and comfortable, the bathroom was clean and the hot shower was great after a day of hiking. The room was perfect, very clean and the bed was comfy. The location was good and the owners were lovely. Lovely owner thank you for lending me your coat. The location was a little far from restaurants. The room was sooo noisy we hardly slept. The weather was really bad when we was there and the windows in the room are not properly fitted so they would bang alot and whistle with the wind. There is a massive plastic bit of ply attached to the railing outside the room which would bang with the wind all night long. The room is very basic...just a bed and small bedside table. We have had better for the same money. The bathroom was not a bad size but because there is an open wimdow it would be cold and wet in there all the time. The lady who is the owner was really nice. She made us a free dinner on our last night which was really nice! The bed was also nice and comfortable too. Extremely noisy construction work directly opposite my room but understandably this is not this hostels fault. Breakfast was fantastic. Staff were brilliant.